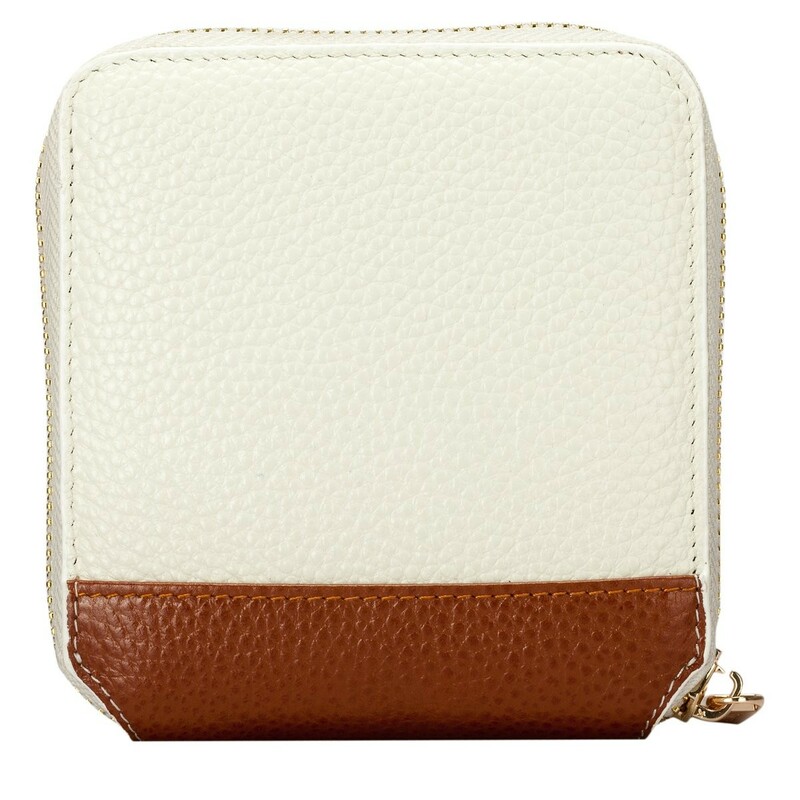 Introducing a new, sleek shape, this purse is as practical as it is stylish. 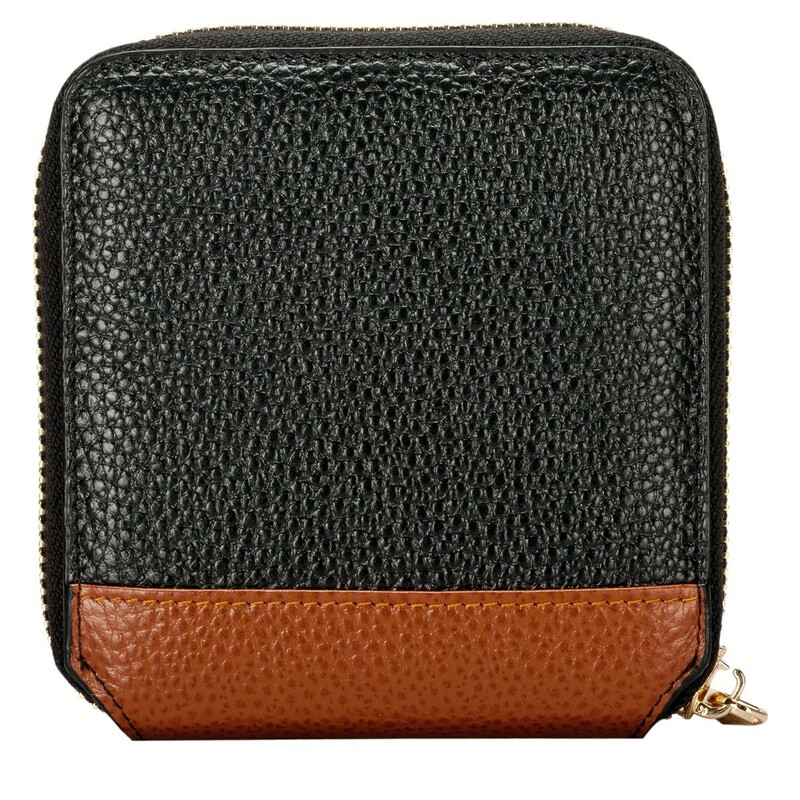 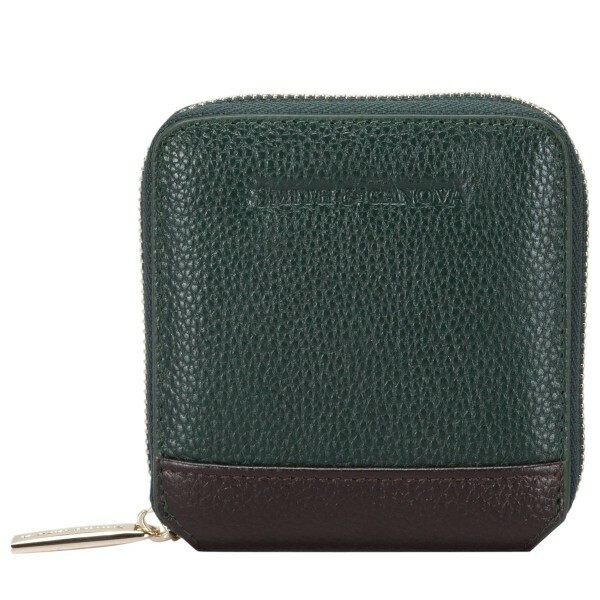 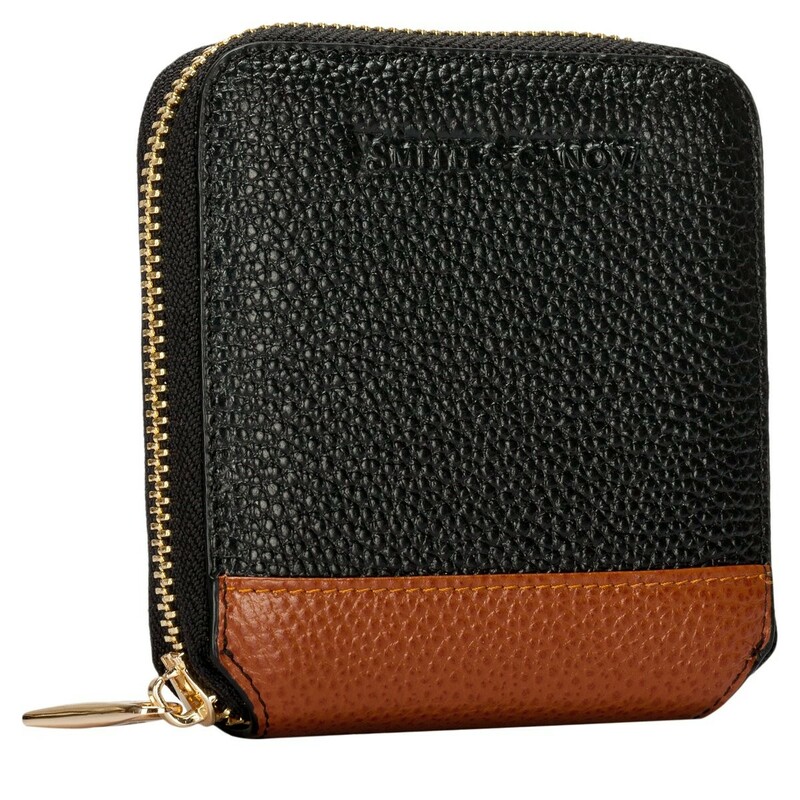 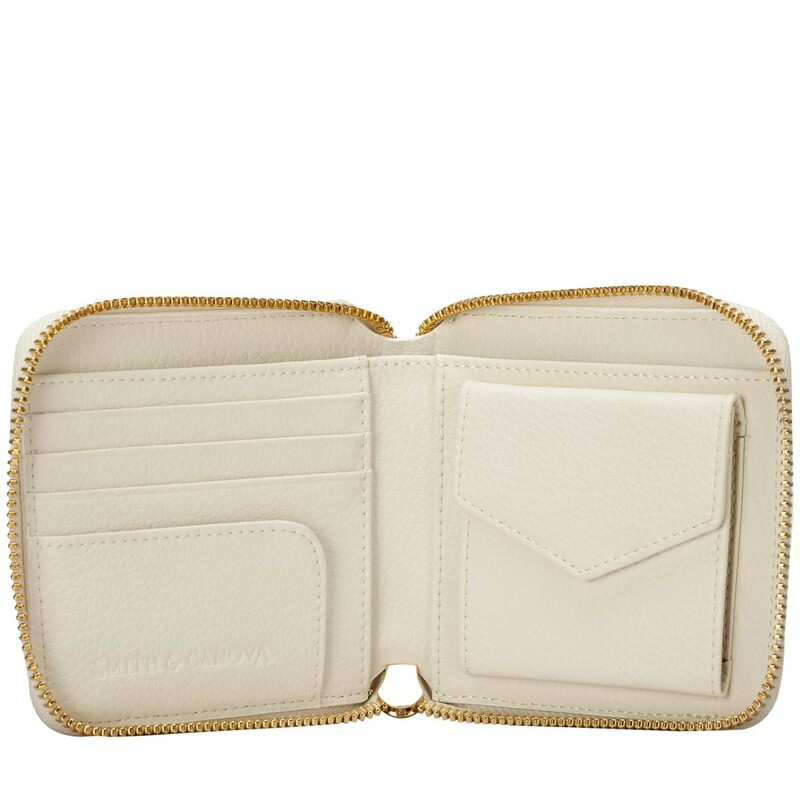 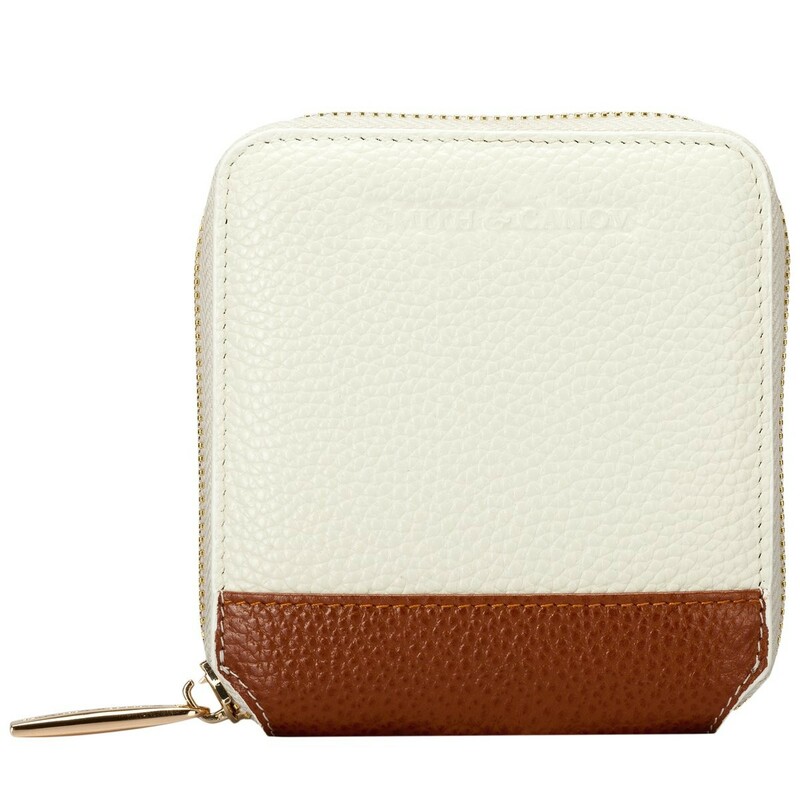 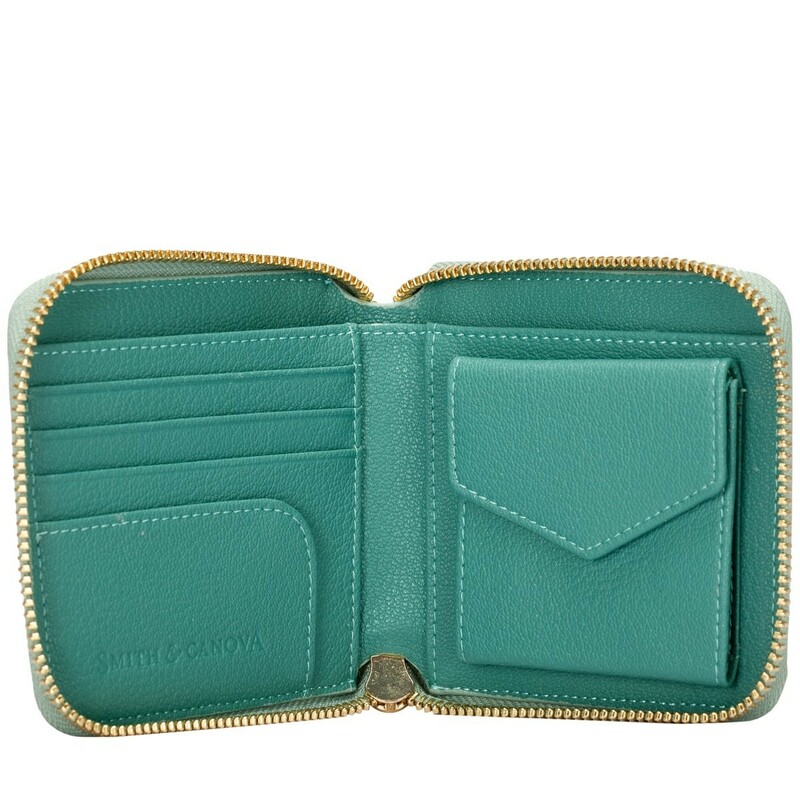 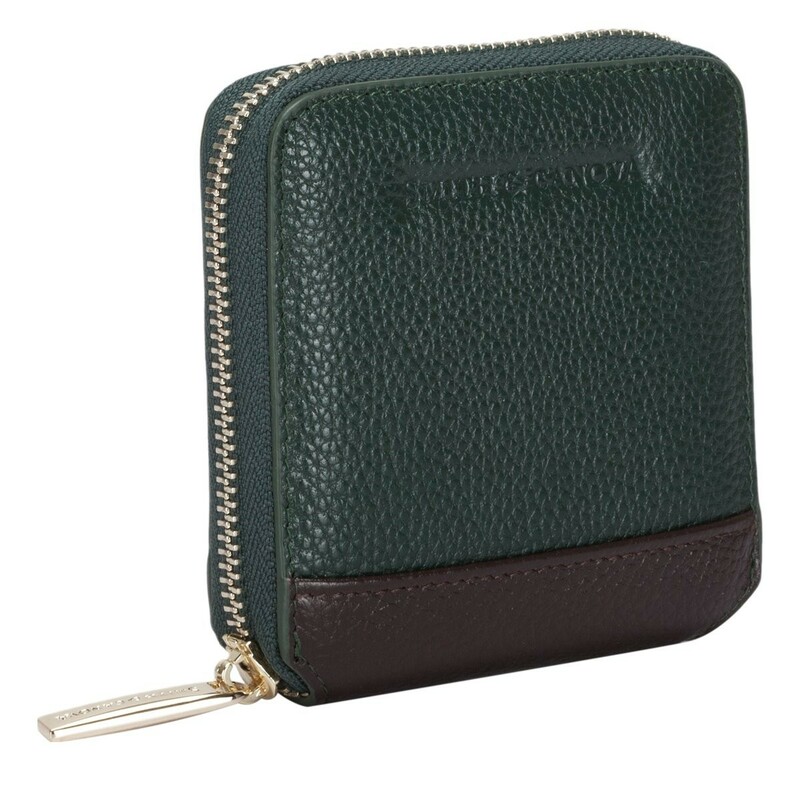 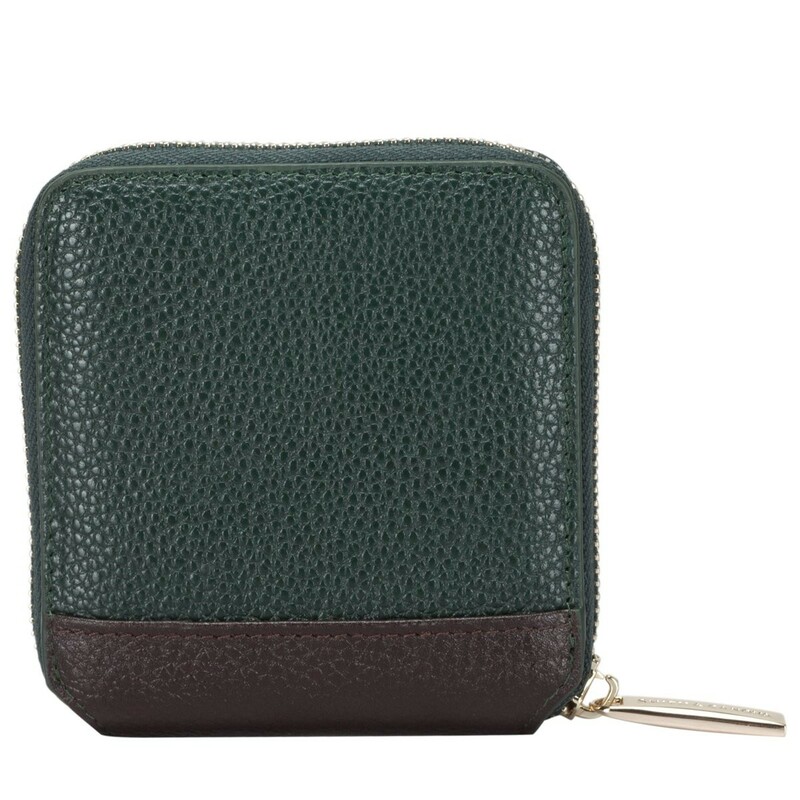 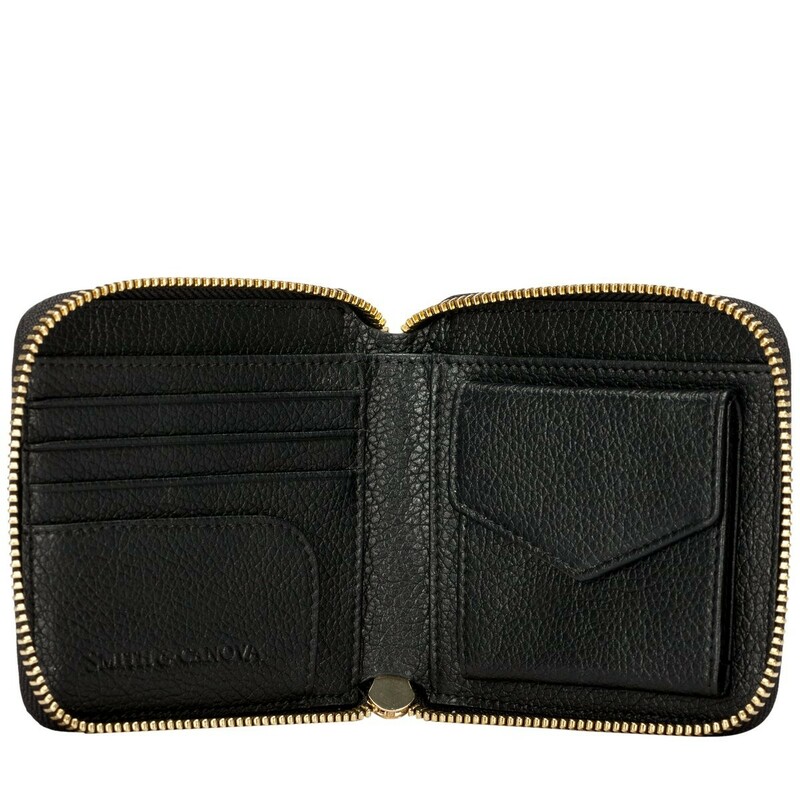 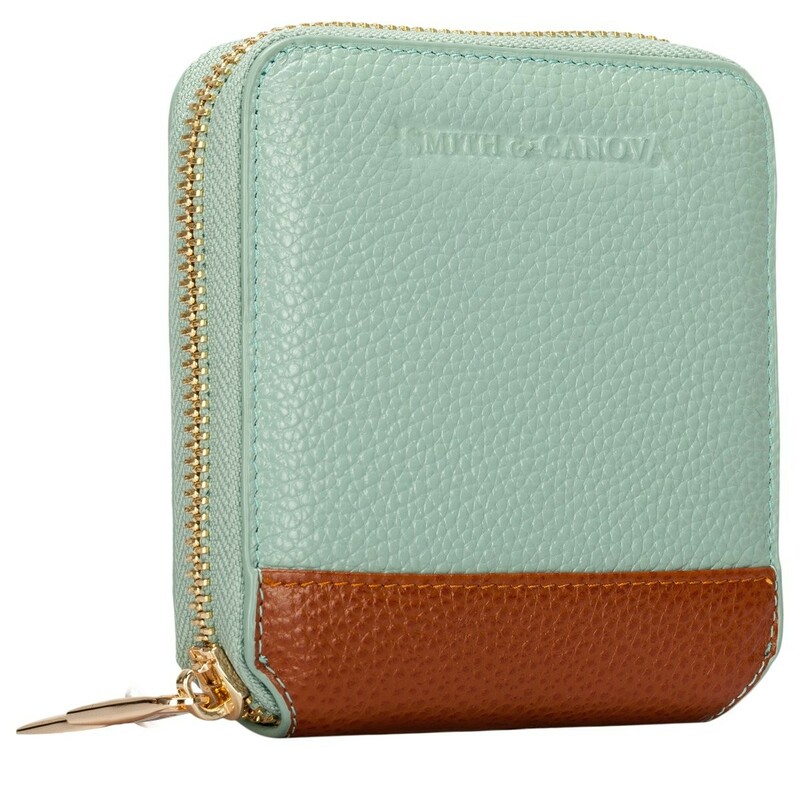 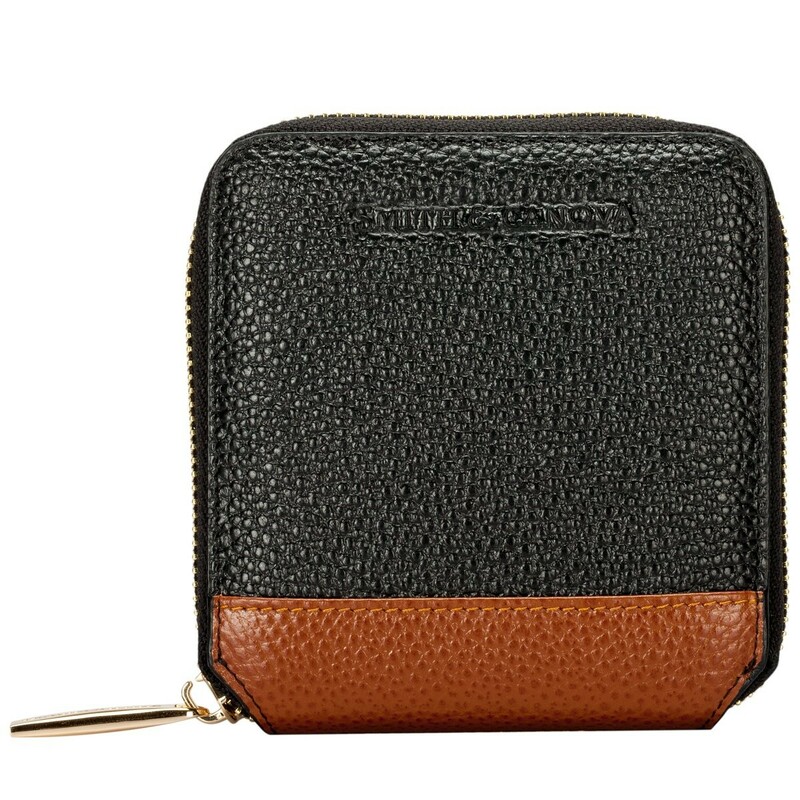 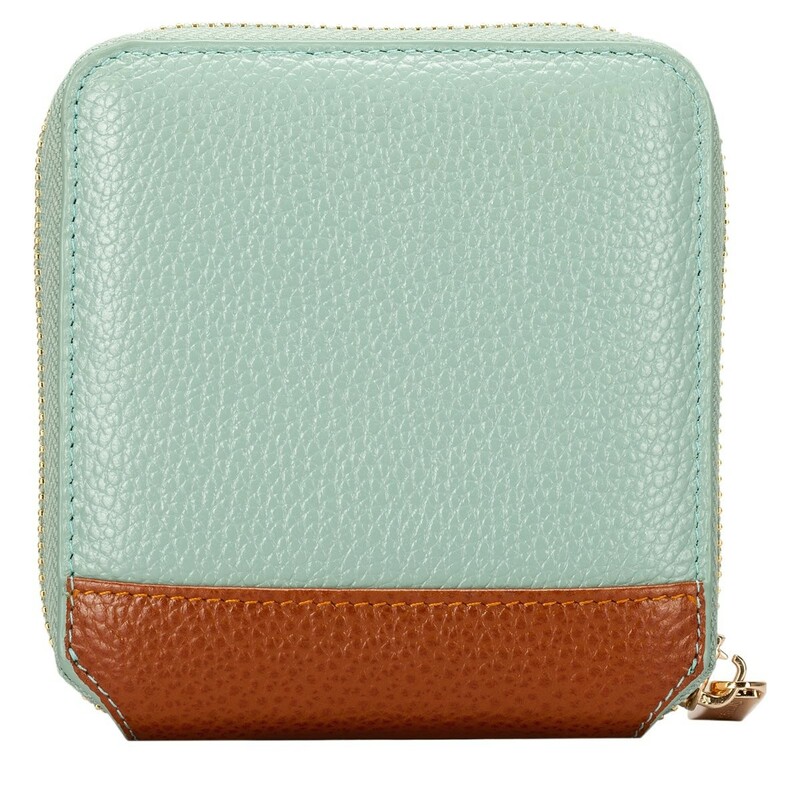 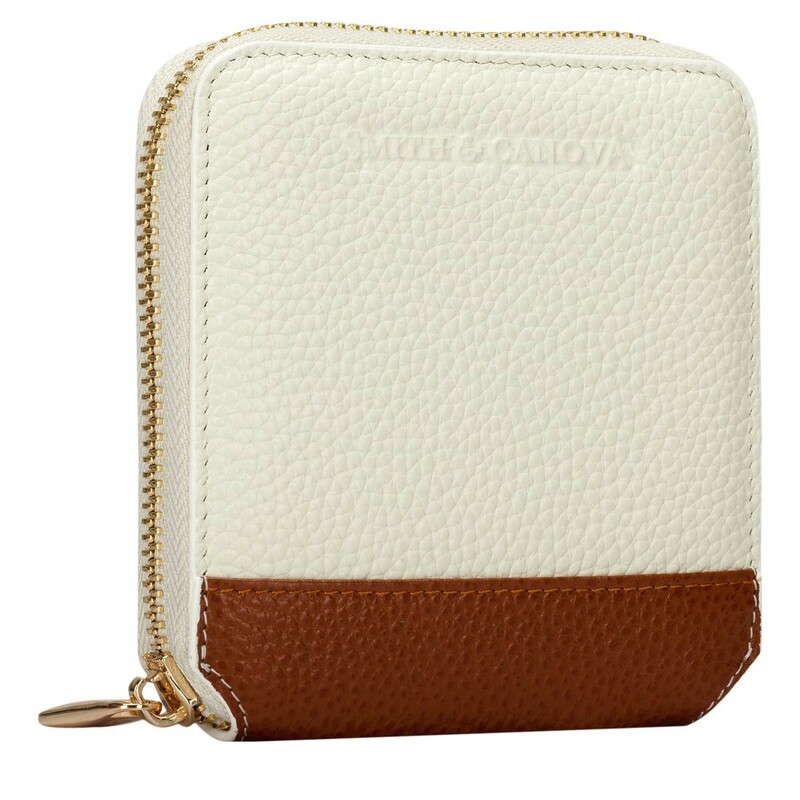 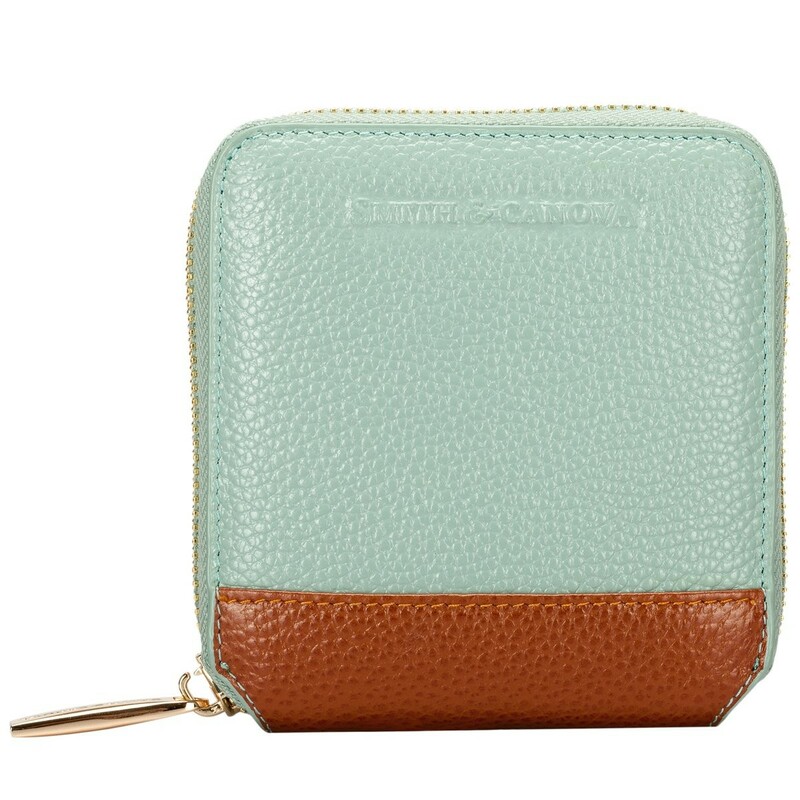 The zip round opening secures your currency and the square shape is a perfect fit for any handbag. 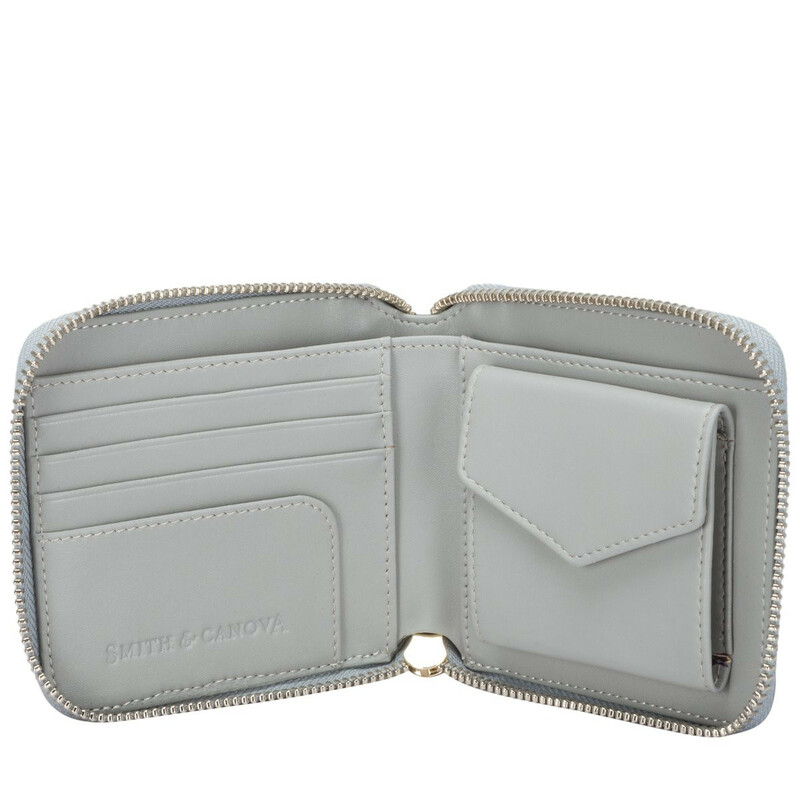 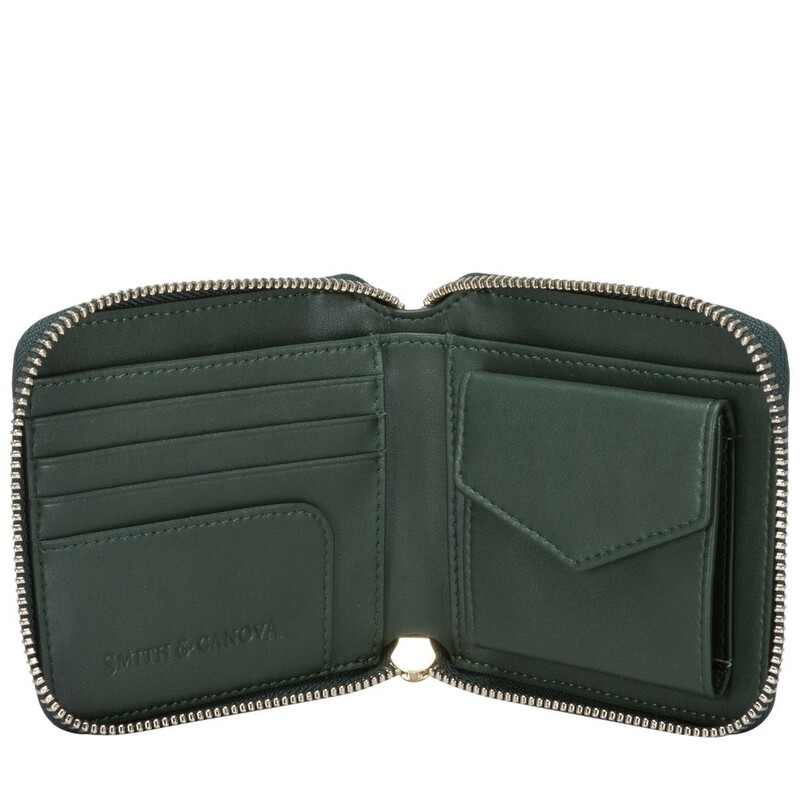 The two tone leathers complement each other, finishing off the contemporary design.